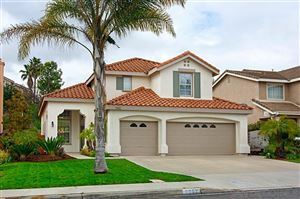 PRICED BETWEEN $800,000 and $820,000: Beautiful & upgraded Plan 2 in Liberty Station. This is the one you have been waiting for. Light and bright and in excellent condition. Close to everything that San Diego has to offer. Walk or bike ride to the bay and around the Esplanade. Block away from the security of NTC entrance. Close to all the amazing amenities of Liberty Station which include the 46 acre Waterfront Park, great restaurants like the new Stone Brewery, Sammy’s, Luna Grill, Tender Greens, etc. Schools including High Tech High & Middle Schools, Point Loma Fitness Club, Yoga Six, Bar Method and Vons and Trader Joe’s and much, much more. See supplement for upgrades etc. Maple walnut distressed wide plank wood floors on lower level and lovely gas fireplace. Gourmet kitchen features a 5-burner gas stove, large curved island and granite counter tops plus an abundance of cabinets and pantry space. Open floor plan between the kitchen, dining room, family room, and spacious private patio, this is a great home for entertaining. The expansive master suite with adjacent sitting room offers a large walk in closet, Juliet balcony, and spacious master bathroom with separate shower and oval tub plus dual sinks. (The big wardrobe in sitting area of MBR stays.) Second and Third bedrooms are a good size with Jack and Jill bathroom. The mezzanine has a built-in desk area on the second floor which overlooks the family room. Brand New upgraded AC. Separate laundry room. Security system. Double attached garage with ample storage and cabinets.